A certified deposit safe must be tested to the EN1143-2 standard by a certification body with European accreditation according to ISO/IEC 17065:2012 standard in order to have a valid insurance rating. 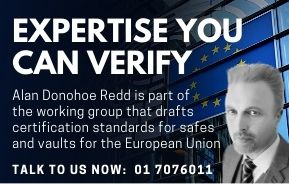 This accreditation is confirmation of competence according to ISO/IEC 17065:2012 to carry out the certification of the specific safe listed on the test certificate in accordance with the relevant European standards. 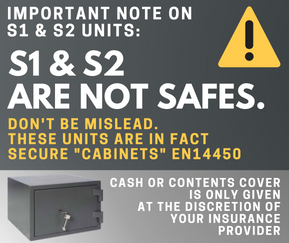 Beware of deposit safes bearing the EN1143-1 badge as these have been altered and their certification is void.